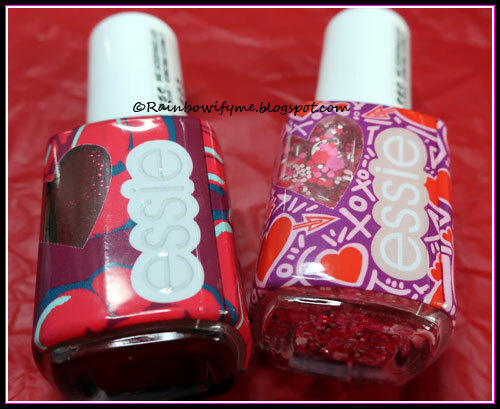 Today’s polishes are from Essie’s Valentine’s collection from February 2019. 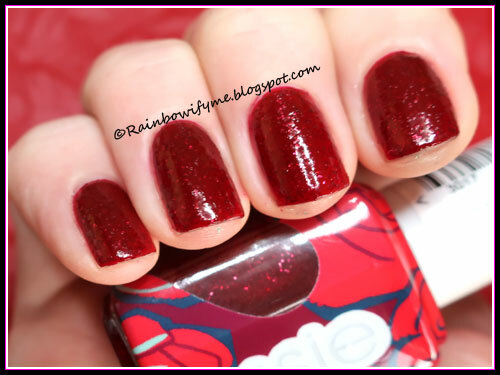 I started out with “Roses Are Red”, which is a lovely dark red with red microglitter. I used three coats for full opacity, which surprised me somewhat. The drying time is good though. 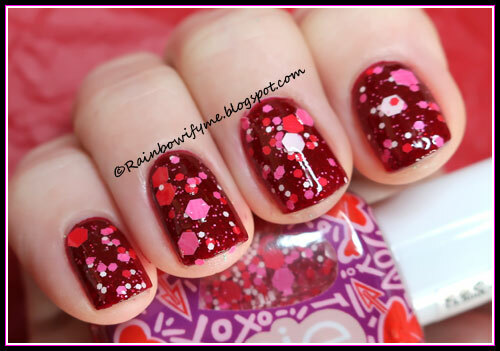 I added “You’re So Cupid”, which is a lovely mix of red, white and pink multisized glitters and hexes. I added a single coat, which was easy to apply. I topped it with topcoat and my manicure was ready. The big hexes are bigger than I usually prefer but I must admit that I absolutely love it. I think they’re perfect. This is “Roses Are Red” alone; three coats and no topcoat yet. 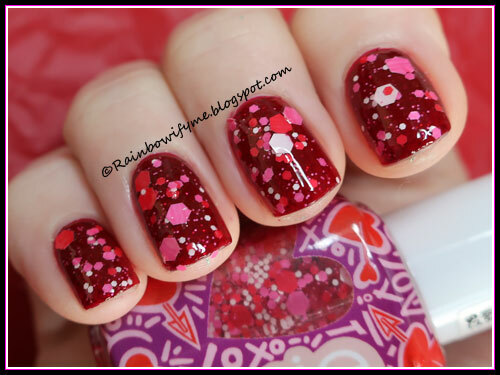 I really needs topcoat for the microglitter to pop.